It was November 2016. After improbably winning the Republican nomination, Donald Trump was a significant underdog in the general election. Almost every pundit gave him very little chance to win. For those of us who invest in the stock market, that was considered a very good thing. After all, the stock market hates uncertainty. 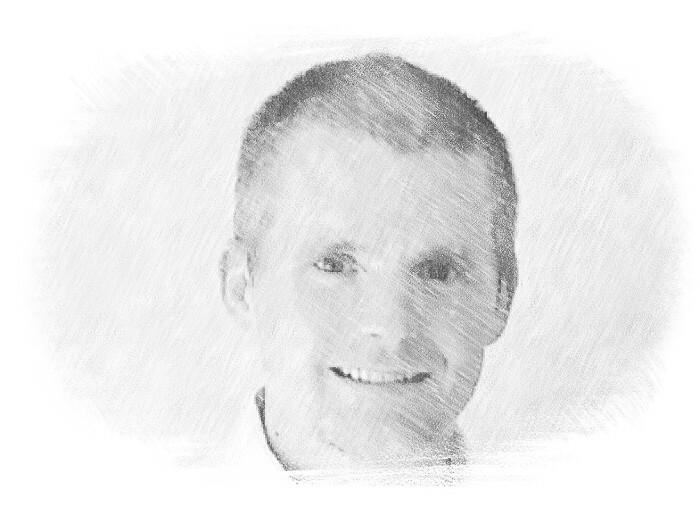 The consensus view among market experts was that in the unlikely scenario that Trump did win, we were in for a significant pullback in the markets. Bridgewater, one of the most widely respected hedge funds, had estimated a 10%+ decline was likely in the event of a Trump victory. The consensus opinion at the time was pretty obvious. Trump had almost no chance to win (right up until the election he had just over a 10% chance of pulling out a victory) and as a stock investor, you were in for significant problems if he did. Of course, there ended up being a significant problem with this conventional wisdom. It was 100% wrong. While market pundits saw uncertainty and turmoil as a result of Trump’s election, the market itself saw lower taxes and lower regulation going forward, both of which are significant positives for the market. What should have a big decline according to conventional wisdom instead turned into a major rally. So what is the lesson of this? Is it that Donald Trump’s policies were the right ones for the stock market? Or is it that stock investors should want Republicans to win the White House? Some people may believe both of those and some may not, but I think the lesson here is a broader one. The lesson is that trying to invest based on headlines is almost always a recipe for failure. If you wanted to adjust your portfolio to benefit from the election ahead of time, you had to correctly predict two things. Who was going to win. What that win would mean for the market. If you followed conventional wisdom going into the election, you didn’t just get one of those things wrong, you got them both wrong. And this isn’t a one-off thing. Historically, events that would seem to spell major problems for the stock market haven’t, and other events that might have predicted major gains haven’t either. For example, look at this chart showing the performance of stocks and other asset classes. 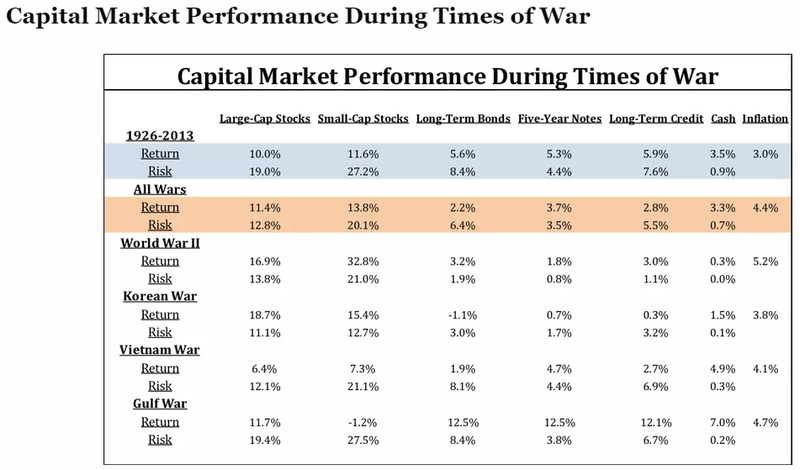 Stocks actually tend to do better during military conflicts compared to their performance over time. Conventional wisdom would predict that war is bad for the stock market, but the data doesn’t back that up. Despite the strong historical evidence that following news headlines is a really bad way to invest, there are certainly no shortage of pundits who continue to try to suggest you do exactly that. Political turmoil is probably at the highest level it has been in the last several decades. We have our first President in office who sends regular messages to the American people via Twitter, and those messages are often times controversial, which creates a news feedback loop on both sides of the political spectrum. But there is a lesson in that. And it isn’t a political one. We have had a very volatile political situation. We have politics dominating the news more than it has in a very long time. And yet, the market has continued to go up. Those who ignored the headlines are the ones who have done the best. That doesn’t mean that politics can’t affect the stock market. They certainly can. Although most of what goes on in politics has no effect on the market, some of the decisions that come out of Washington have a direct effect on the sales, income and cash flows that determine the value of publicly traded businesses, and those things will also affect the market. But even with political situations that affect the market, trying to invest based on them is a losing proposition. The reason is that predicting their outcome more accurately than the consensus on Wall Street, which is what is already reflected in stock prices, is next to impossible. The current talk of a potential Trade War is a good example. There is no doubt that Trade Wars are typically bad for the economy and bad for the market. But they also have lots of moving pieces and they can sometimes be resolved favorably. We saw that this week with a potential positive resolution to our dispute with Mexico. To adjust your portfolio based on a potential Trade War, you would need to have a high conviction about its eventual outcome relative to what the market thinks it will be, and the odds of doing that are very low for experts in the area, much less the average investor. Political headlines also aren’t the only ones you need to ignore. Investing headlines themselves can often be misleading and counterproductive. Take the recent headlines about the market reaching all time highs. When something is at an all time high, there is a tendency for all of us think it is expensive. There is an implicit suggestion that is should be sold, not bought. With the market, though, that just isn’t true. When something goes up more than it goes down over the long-term like the stock market does, by definition, it is going to achieve a lot of all time highs along the way. Without all time highs, there is no return. This video from Josh Brown and Bill Sweet of Ritholtz Wealth Management explains this better than I can, but the basic conclusion is that all time highs typically are a positive for the market going forward more than they are a negative. At its core, investing is very simple. If you establish a sensible long-term plan and you follow it with discipline and consistency, you will most likely do very well. Investing based on headlines serves neither of those purposes. Many of us can’t ignore the headlines all together. They are basically everywhere you look. But you don’t have to ignore them. You just have to make sure they don’t change your investing plan. If you can do that, you will be far more likely to achieve your long-term goals.